If you are a nontraditional bride who doesn’t want to wear the traditional white wedding dress, you are not alone; world known designers are agreeing with you as well. Some brides love the white wedding dress, others like the pastel or blush colored dresses, but what about the brides who want something different? Here are a few selection of designers spring collection to inspire you. 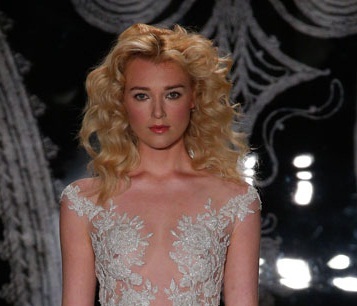 Vera Wang added a lot of drama to her latest spring 2014 bridal collection. Read: "Vera Wang's Edgy Spring 2014 Bridal Collection"
Monique Lhuillier picked cream shades instead of the pastel colored dressed of last spring. Reem Acra’s collection is all about tulle!